Test driver in Scuderia Ferrari F1 and oficial driver for Nissan Nismo. 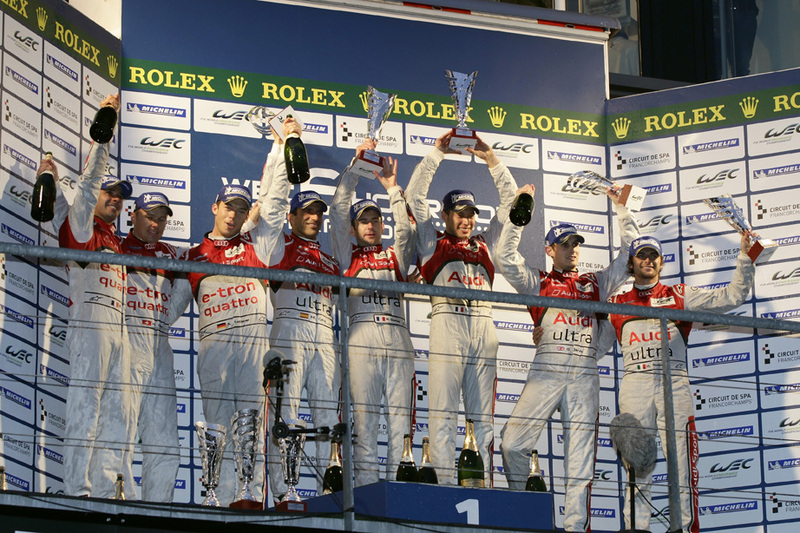 Second place at Le Mans 24 Hours with Audi. Winner at 1000 km Spa (WEC) with JOTA Sport (on a loan from Audi). F1 World Championship with Ferrari as test driver. 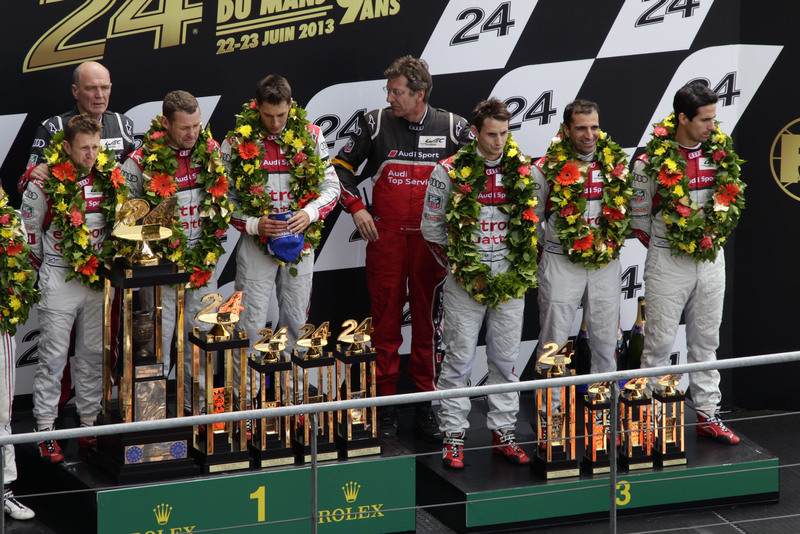 Third place at de Le Mans 24 hours with Audi. Third place at Spa’s 1000km (WEC) with Audi. F1 World Championship with Ferrari as test driver. Third place at Constructors F1 World Championship with 354 points. First place at Spa’s 1000km (WEC) with Audi. Fifth place at de Le Mans 24 hours with Audi. F1 World Championship with Ferrari as test driver. Second place at Constructors F1 World Championship with 400 points. Second place at Sebring’s 12 hours with Peugeot Team. Fourth place at de Le Mans 24 hours with Peugeot Team. F1 World Championship with Ferrari as test driver. third place at Constructors F1 World Championship with 375 points. Winner of Sebring 12 Hours with Team Peugeot Total. Le Mans 24 Hours with Team Peugeot Total: Abandoned after 22 hours when he was 2. 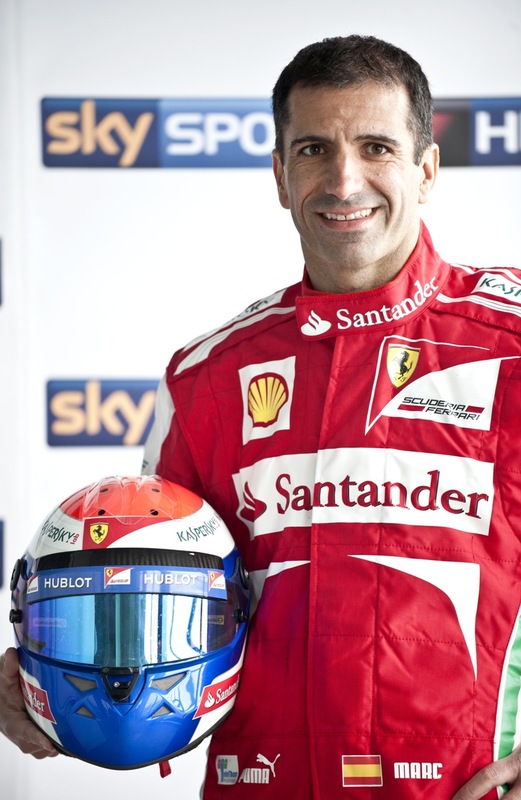 F1 World Championship with Ferrari, test driver. Constructors’ Championship: 3rd with 396 points. Winner of Le Mans 24 Hours with Team Peugeot Total. First Spaniard to achieve this. F1 World Championship with Ferrari, test driver. Constructors’ Championship: 4th with 70 points. F1 World Championship with Ferrari, test driver. Winner of Constructors’ World Championship. Le Mans Series with Team Peugeot Total: 3rd. Le Mans 24 Hours with Team Peugeot Total: Abandoned after 22 hours. 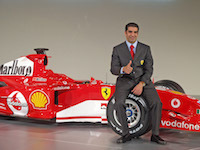 F1 World Championship with Ferrari, test driver. Constructors’ Championship: 2nd with 201 points. 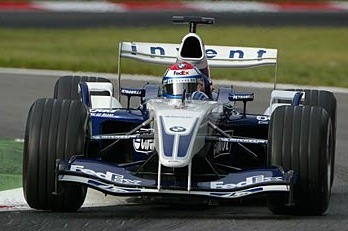 F1 World Championship with BMW.WilliamsF1 Team, third driver. Constructors’ Championship: 2nd with 144 points. Monza Grand Prix as a substitute: 5th / 4 points. Finishes 17th of the general classification. 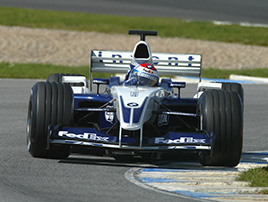 Test driver – BMW.WilliamsF1 Team 2001/ The team finished third in the World Championship with 80 points. F1 World Championship with BMW.WilliamsF1 Team third driver. Constructors’ Championship: 3rd with 80 points. F-1 World Championship with Team Telefonica Minardi Fondmetal: 19 º.
F-1 World Championship with Team Fondmetal Minardi Ford: 17th and Rookie of the season. Spanish Kart Champion (Senior Class). 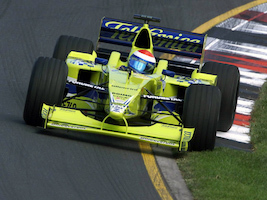 Youngest driver ever to win this Championship.